Official plan for the day: After breakfast we’ll tour the world-class Anatolian Civilizations Museum, and marvel at its collection of treasures from Turkey’s pre-Roman civilizations. We’ll pay our respects at the monumental Anıt Kabir, Atatürk’s Mausoleum, where we’ll learn about the revered founding father of modern Turkey. 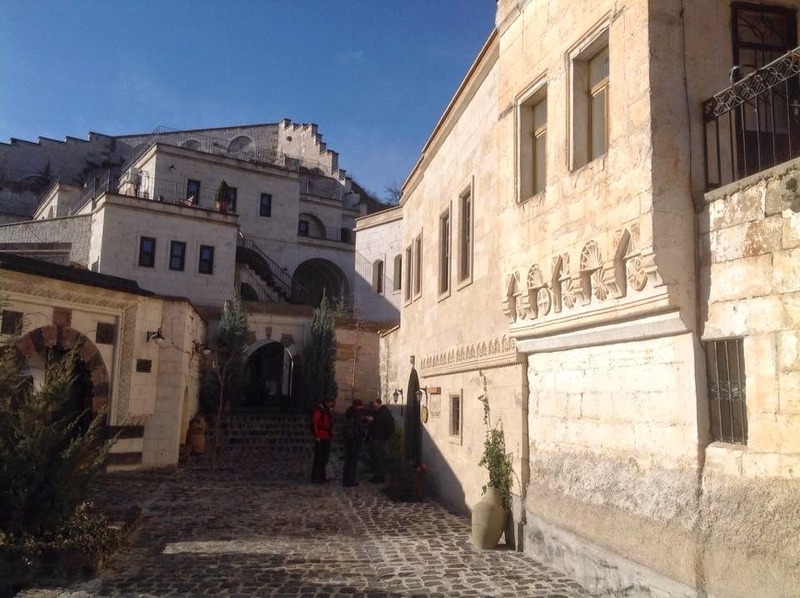 After lunch, we’ll travel to what feels like another planet — the scenic and historic Cappadocia region — where we’ll have dinner together and sleep in the village of Mustafapaşa (3 nights, group may be split between two B&Bs). Bus: 6 hrs. Walking: light. Text and photo by Jamie Blair Gould. Jamie Blair Gould has been guiding tours for Rick Steves for many years, he uses his extensive food and wine expertise to bring Italy tours the knowledge every tour member is craving. He says he has guided all his life. Jamie has his own company called Papillon Tours. He has known Steve Smith (co-author of Rick Steves’ guidebook to France) for a very long time. Steve got him involved in the Rick Steves team, so now every year he guides 12 weeks for Rick and 12 weeks for his own company. His wife, Nina, also leads tours for Rick. from a Rick Steves interview with Jamie. 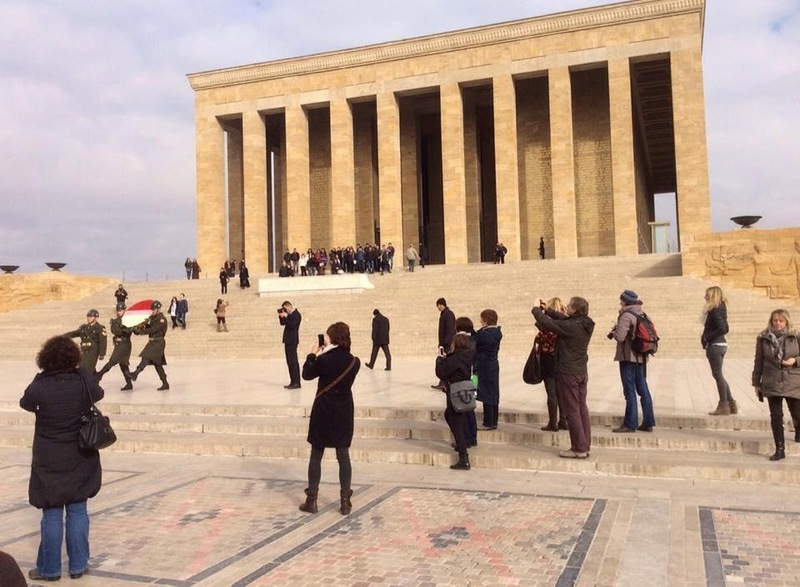 We returned to the bus and climbed the summit of a hill in central Ankara to the mausoleum to Turkey’s great modern hero Ataturk, ‘Father of the Turks’. Mustafa Kemal was responsible for converting Turkey from an economically backward Ottoman joke ‘the sick man of Europe’ into a secular, prosperous, modern society. He changed everything from the calendar to measurements, to the western script and vastly improved literacy rates and female rights. The hero of Gallipoli went from being Churchill’s nemesis to his admired friend. and photo by Jamie Blair Gould. As we arrived in the dark, we had little idea of what lay outside. It was a cold night and each of our comfortable rooms had a blazing fire glowing in the hearth. As we unpacked, a warm glass of mulled wine was delivered to the door, now that’s service! Next morning the sun was shining revealing the beautiful sculptured door and window lintels of our charming hotel ‘Villa Tulip’.